This time of year lots of pictures are taken and that includes a lot of selfies. I am very happy with my new Selfie Stick #SelfiStick ,LIANSING U-Shape Self-portrait Monopod Travel Tripods Wireless Selfie Stick built-in Bluetooth Remote Adjustable Phone Holder for iPhone5/6/6S Samsung all other Android Smartphone-Black. This selfie stick was so easy to use I just plugged in my phone and started taking pictures. It has a great clamp that holds my phone in place with no fear of it falling out and without scratching my phone. It is adjustable and is great for taking group pictures. When I am done using it I just fold it up and put it in my purse. It will be great for traveling since it is small and compact. It doesn’t need to charge so it would be great to bring camping or hiking – you can just keep snapping pictures. 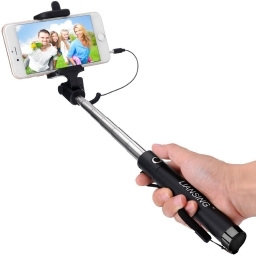 If you would like to purchase your own Selfie Stick from Liansing you can use the link below from Amazon.com. I like kitchen products and knifes are one thing that I really like. I am always looking for a new and different knife. I found this Elegana 10 Pieces Premium Kitchen Ceramic Knives #Elegana_Ceramic_Knives that I really like. This set comes with 4 different sizes of knifes including: 3″ Paring ceramic knife, 4″ Fruit ceramic knife, 5″ Santoku ceramic knife, and 6″ Chef ceramic knife. The set also included a multi-purpose cermic peeler and a cleaning cloth. I like that they knives all come with blade covers – that way you don’t have to worry about cutting yourself when digging around in the knife drawer. 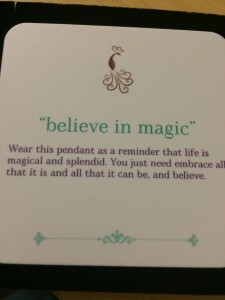 It came in a really sturdy gift box ~ perfect for gift giving! The blades of the knives have a white mirror finish and are easy to clean. Just warm soapy water. The knives will never stain and are BPA free. They also have ergonomic handles that fit my hand perfectly. I found the knives to be very sharp and professional looking. 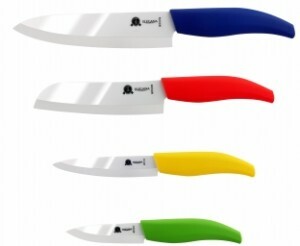 They work great for cutting up veggies, fruit and meat. I really like them and think they were a great addition to my kitchen. You can buy your own set on the link below from Amazon.com. I am always looking for a nice pair of earbuds and I am very happy with the ones I have from SeedAudio. They are noise cancelling earbuds. They have a nice fit and are good for when I walk at night. 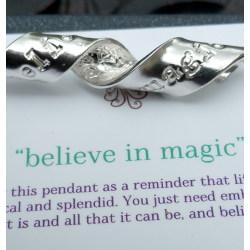 There are 3 different sizes of ear tips – Small, medium and large so you can get a good fit. They don’t fall out when working out or moving around. I like using the SeedAudio Noise Cancelling Earbuds With Mic Stereo & Remote Control with my kindle and iPod. I have a number of audio books and they sound great using the SeedAudio noise cancelling earbuds. They also work great with my iPod – the sound is really good. I take them with me every where. There is a built in mic so you can answer your phone using the earbuds – so if you listen to music on your phone these would be perfect for you. The earbuds came in a case so you can throw them in your gym bag, purse or backpack with out worrying about losing them or breaking them. The package included everything I needed including the 3 different sizes of ear tips, a protective case, a cable management system, user guide and a right angle connector. The SeedAudio earbuds are very durable and should last a long time as long as I take care of them. If you are looking for a some earbuds for yourself or as a gift – these would be just perfect. You can purchase the SeedAudio Noise Cancelling Earbuds With Mic Stereo & Remote Control on the link below from Amazon.com. My office at work is very small and has no windows. I have to turn on the ceiling lights which are really bright and hurts my eyes. I have been looking for a lamp and I think I found the perfect one. It is the Boyon Foldable Eye Protection Lamp #BoyonLamp. What is so nice about it is that just touching the button on the lamp base, you can turn it on, off or adjust the brightness. There are three brightness level: the light is gradually brighter over touching it three times. Automatic memory- Light intensity setting retention, the last setting is retained. Another feature is with the micro charging plug, you can charge it by computer connected through USB cable. You can tell when the lamp is charged as the light small red light turns off. It is just perfect for my office. It is small enough to fit on my desk without taking up a lot of space. 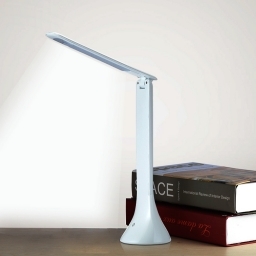 The Boyon Foldable Eye Protection Lamp is adjustable and can rotate 180 degrees. It folds up and is light weight. Perfect for me! If you would like to purchase the Boyon Foldable Eye Protection Lamp you can do so on the link below from Amazon.com. 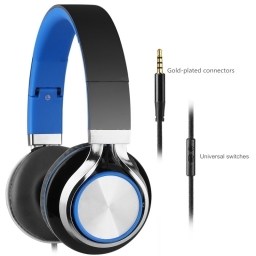 If you are looking for a pair of headphones these are a really nice pair they are the Sound Intone HD200 fold Headphones #ChristmaspromotionHD200BB. They are lightweight and easy to adjust to fit anyone but are made for girls. They are great for listening to music or gaming. I have been using them to listen to my kindle audio books while Rex is watching TV. They have good sound quality. They have Smart In-line remote control and with universal switch for all 3.5mm jack devices. I like the super soft and elastic memory ear-pad, that makes them comfortable for wearing. I like that I don’t hear the TV just my music or book it has great noise-isolation. If you would like to purchase your own set of Sound Intone HD200 fold Headphones either for gift giving or for yourself you can find them on the link below from Amazon.com. I love listening to audio books and music – but not everyone else around me does. 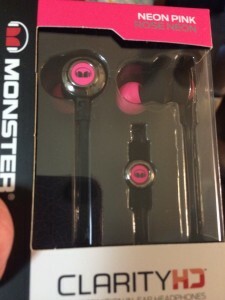 I have been looking for a good quality pair of in-ear headphones and I found them from Monster. These are the Monster Clarity HD High Definition In-Ear Headphones in Neon Pink. The perfect color for me – the boys won’t use them. They do come in a few other colors. They fit great and come with a number of different sizes of ear buds so you can get the perfect fit. The Monster Clarity HD High Definition In-Ear Headphones come with Control Talk Universal so you can talk use them with your phone – you can go from music to a phone call in just a click of the button. Good call clarity when using the ear headphones on a phone call ~ I can hear the person on the other end perfectly and they can hear me! 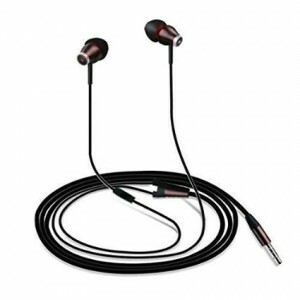 The Monster Clarity HD High Definition In-Ear Headphones seem very durable and well made. They are available at a reasonable price. I think they would be a great Christmas gift for anyone on your list. 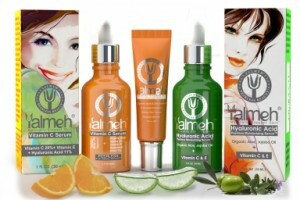 They are great for teens and adults! You can find them on the link below from Amazon.com. At this time of the year who has time to get a pedicure? I don’t but I still want nice soft feet. That is why I was happy to try this Powerful Rechargeable Electric Foot Callus Remover #CalluRemover from MEDca. It is great! It comes with two different rollers to customize the result of removal according to your need and type of callus. The first roller is designed for the tough type of callus on the sole of your foot and the other one can be used in a normal way for simple pedicure process. I found that you needed a light touch to use the Rechargeable Electric Foot Callus Remover ~ if you put to much pressure on it stopped spinning – but that is a good thing. It was easy to use. It has a light so you can see what you are doing. I liked that it did remove the rough skin on the bottom and sides of my feet. Before using my foot was rough and my foot had a lot of dry skin on it. I am happy that after one use my feet felt good and where soft. It is nice that it is rechargeable too. I can use it as often as I want. 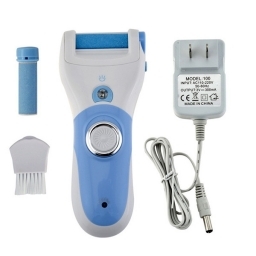 If you would like to purchase this Powerful Rechargeable Electric Foot Callus Remover you can use the link below from Amazon.com.